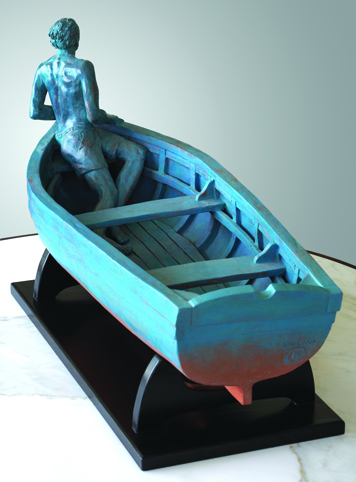 The sculptor and artist Stanislav Tušek is an articulate and multidisciplinary creator, whose sovereign creativity masters all his selected techniques. 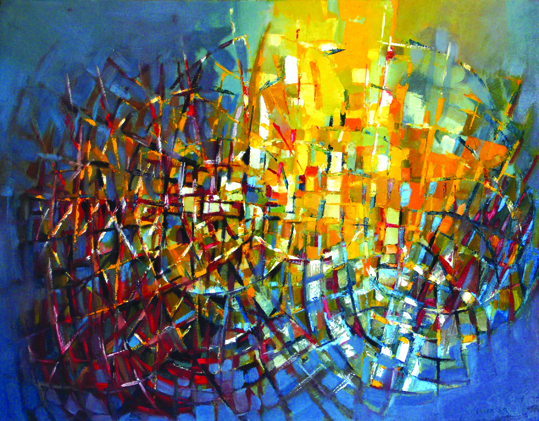 Stylistically, he is able to navigate the different worlds of realism, expressionism and abstraction. 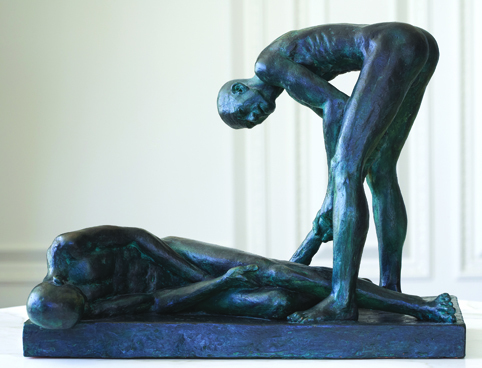 From classical landscapes to expressive images, from form-searching figures in bronze to expressive metal sculptures, he pursues a varied and successful artistic journey. His works are realised ideas, showing the artist’s relationship to the world, to his former homeland, to the present and to humanity as a whole. 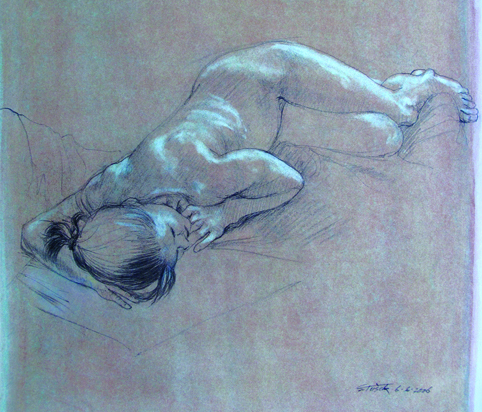 Stanislav was born in Hrastnik, Slovenia in 1939. From 1944 to 1949 he lived in Austria and arrived to Melbourne with his parents, brother and sister in 1950. 1969 carried out several commercial relief projects which tested my ability as a craftsman and proved I could have had an alternative career. The reliefs were cast in bronze by the firm Arrow Engraving. 1970 after my arrival in Toronto, I became Head of the Art Department in Runnymede Collegiate; a position held until retirement in 1996. 1976 graduated from the University of Toronto with a four year majoring in Fine Arts. 1980 took part in the 2nd International Miniature Art Exhibition in Toronto submitting four etchings. 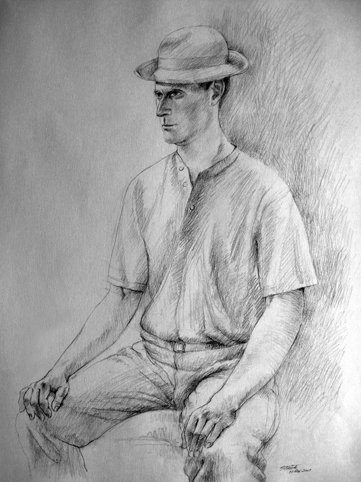 1999 member to the present of the Neilson Park Creative Arts Centre where I have continued with figure drawing and taught a class in figure modelling. 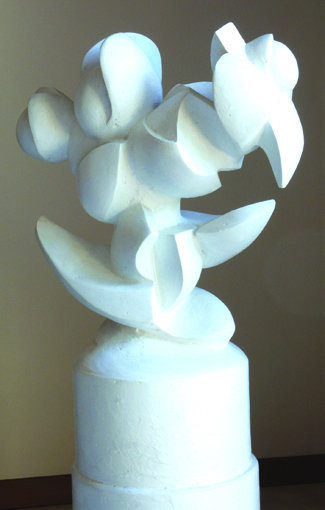 My own sculptures are likewise modeled in clay, then kiln fired. 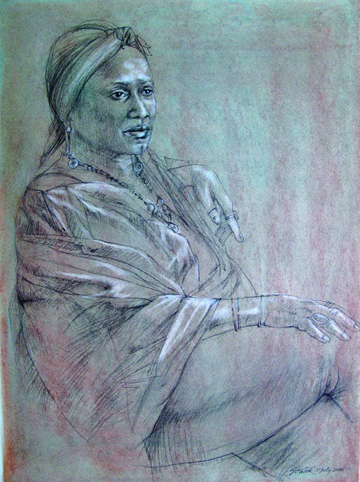 Since being a member I have periodically taken part in group exhibitions at the Centre. 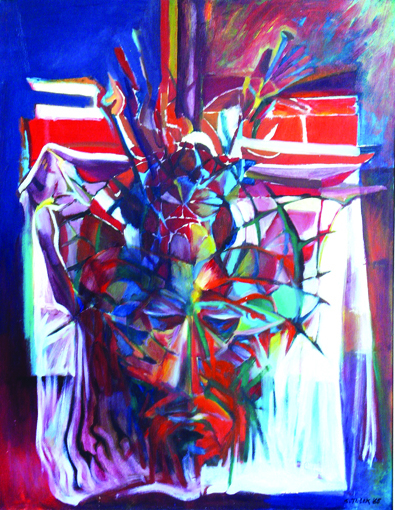 “For two successive years I received honourable mentions in the Annual Sun Youth Art Show held by the newspaper in conjunction with the Art Teachers’ Association. In 1956 I was the winner in the under 18 section of the competition for a Cubist style still life. My interest was reinforced by winning third prize in a Victorian State competition for a poster design for the Gould League of Bird Lovers second year in Australia. I paint essentially for self-gratification; the pleasure that is gained from successfully completing what begins as an idea and evolves into a physical presence. This is a challenging process and entails intuition as well as conscious decision making. The work may take different directions; ideas may transform and possibilities for new works may emerge. While living in Austria on the outskirts of Knittelfeld during World War II, the harsh winters as well as the fierce bombing of the city by Allied planes, forced my brother to often stay at home from school. Like many children we occupied much of our time with drawing and painting. I continued this activity while growing up. Later while attending University High School, the art teacher, the late Arch Cuthbertson, generously invited a select group of students, including me, to paint on Saturday mornings at the former Royal Melbourne Institute of Technology. I also often visited what was, the National Gallery of Victoria. 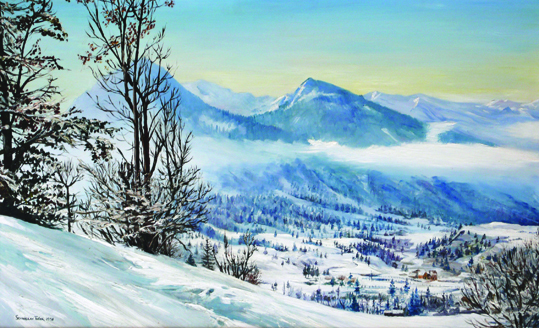 I was also encouraged by my parents to paint Slovenian landscapes in oils. No doubt nostalgic sentiments for a distant led to a joint exhibition with Vinko Molan and Bogomir Jesenko sponsored by the Slovenian Club in 1962. Throughout history and in most civilizations, the human figure has been the subject and vehicle of expression. The styles or methods of depiction may change, yet the human image remains relevant today. It is this that interests me mainly. 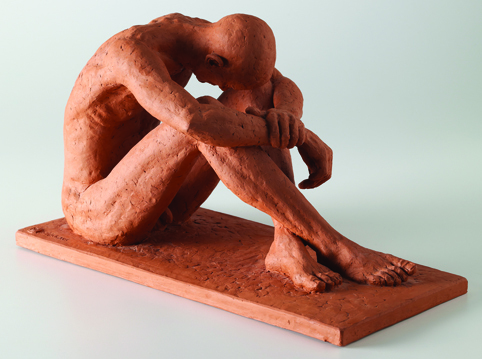 For many years I have been drawing figures from life which is also preparation when modeling the figure in clay. I have admired the art and sculpture of many periods, traveling in different countries; in particular the Renaissance reliefs on the Baptistery doors by Ghiberti in Florence; Michelangelo’s marbles in the Accademia and in Rome; the masterpieces in the Rodin Museum in Paris; more recently, seeing the treasures of the Cairo Museum; also the serene silent monuments of Pharaohs in temples along the Nile. 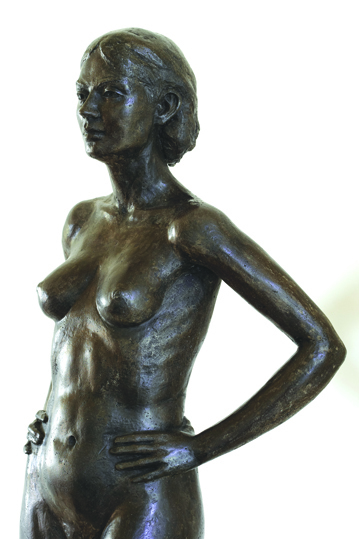 While most traditional sculpture is in stone or bronze, in the 1960’s I was drawn to welding sheet metal, having seen examples of the work of the American David Smith. 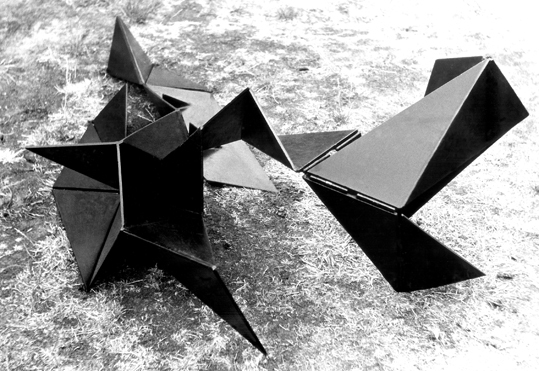 My sculpture of 1967, titled Kafka – Metamorphosis, consisted of triangular metal plates to which I had welded hinges so that parts could be moved and rearranged in dynamic ways. A rectangular plate was painted red, reminiscent of the many red-back spiders encountered in the volcanic rocks where we lived. Years earlier I had read Kafka’s novel and felt I realized the idea in an appropriate sculptural statement with oblique reference to Cubism. Relative to my interest in the figure, I have for many years admired the expressive works of Kathe Kollwitz. Indeed it was a reproduced drawing in an Austrian newspaper in 1945, a grieving mother surrounded by her upset children, that made an indelible impression on me as a five year old and was the first ‘work of art’ I recall. Years later, I recognized the drawing again, titled ‘Killed in Action’. In 1997 on a visit to the International Biennial of Graphic Art in Ljubljana, I had the good fortune to become familiar with the names and works of Slovenian printmakers. Only one, the eminent Bozidar Jakac I knew from an old copy of the British ‘Studio’ magazine. The themes of his woodcuts and engravings certainly evoke a strong identity with Slovenia.